YUELI first opened its doors in 1985. In the early years, small numbers of students from a handful of countries joined YUELI classes. Since that time, the Institute has grown to become one of the largest language training centres in Canada with a truly global reach. Over the past three decades, students from Europe, Middle East, Asia, and Latin America have come to call YUELI home for both our shorter one-month programs and for extended periods of training, lasting several months. The students have consistently reported positive experiences. They have commended the Institute for its diverse combination of learning and activities, its strong focus on language and academic needs, and its long-held emphasis on a shared understanding across cultures. 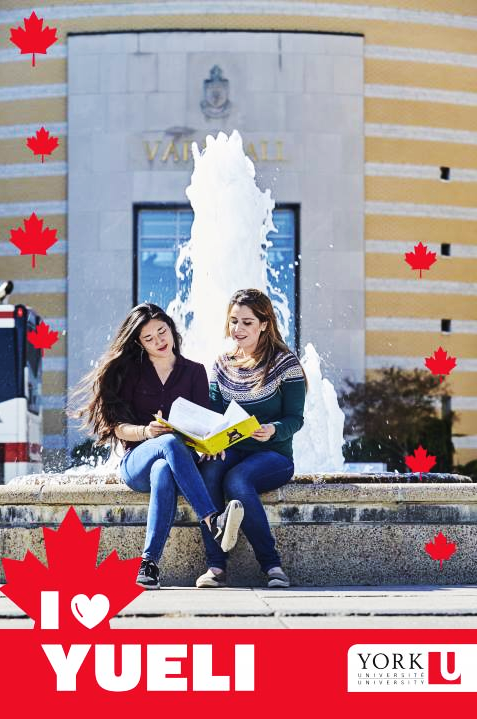 The English language skills and campus experience gained through our programs assist international students in achieving their educational objectives at and beyond York, as well as securing their longer-term career goals. Students who follow the YUELI pathway to York consistently outperform international students who choose the direct entry route to the University. Better grades, greater retention, and higher graduation rates mark this success and are often referred to as the YUELI Effect. The result is a reputation for being one of the highest quality English language institutes in Canada. In 2009 and 2012, we exceeded expectations in all areas of Languages Canada audits, moving us closer to our goal of becoming the top English language institute in North America. YUELI is built on this extensive history, on rich and robust teaching practices and on a global approach to education. We are ready to help you succeed in your studies and to support you through your journey toward a bright future in any field.